Who doesn’t love anything with the letters BLT in it?! This BLT Tortellini Salad is a refreshing dish to serve on those cold days when you’re tired of sipping on soup! As much as I love sipping on hot soups like my Scallop Bisque, something just clicks during the winter and I start craving salads. Crisp, refreshing salads that are just as filling as those soups. It’s the Caribbean girl in me that itches for the summer sun, the warm breeze, and the days off at the beach. So it’s natural to crave fresh vegetables and tortellini, right?! 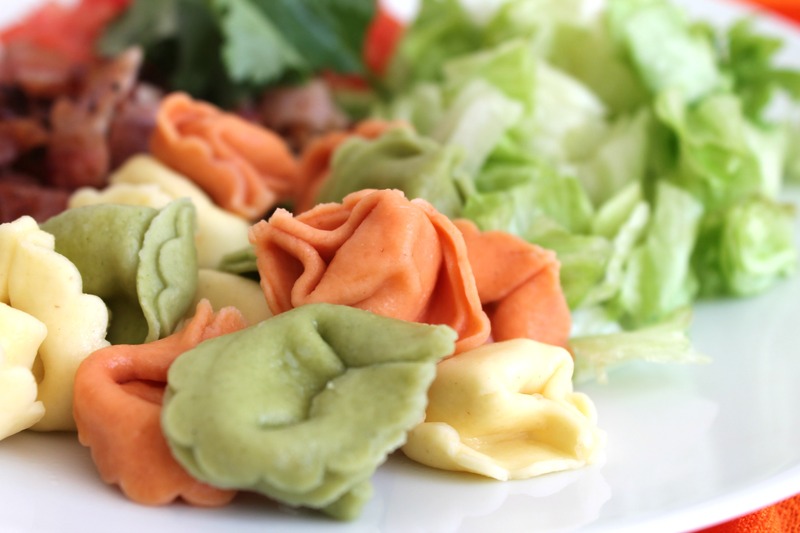 Our BLT Tortellini Salad is a twist on the classic BLT sandwich. You’ll find all the components of the sandwich, but in salad form. 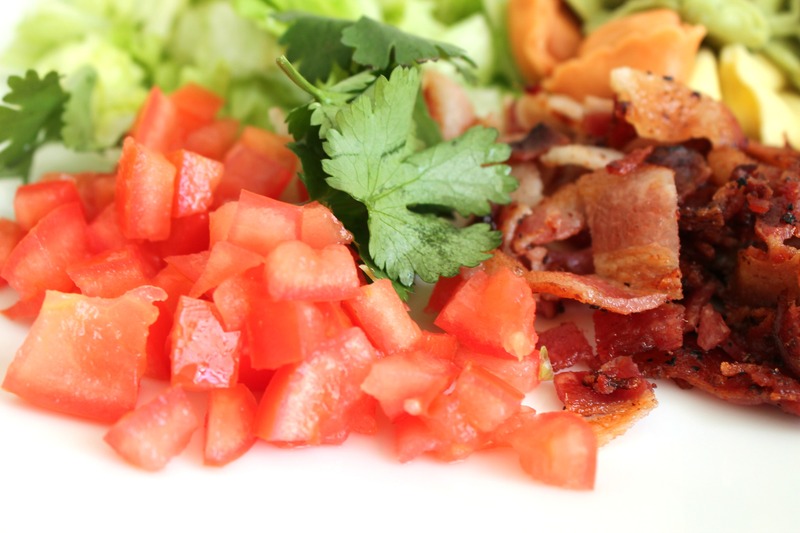 Crispy bacon, fresh lettuce, and diced tomatoes come into play in this dish. Whisk up a quick dressing with mayonnaise and olive oil and you’ve got a delicious salad the entire family will love! Grab your favorite fresh herb, in this case mine is cilantro, and mince some up to add a bunch of flavor to this quick salad! It’s a fast way to add freshness to a pasta salad. And even though bacon, lettuce, and tomatoes have existed for forever, the combination of all three in a delicious sandwich slathered with mayonnaise has existed since the 1900’s. In 1903, the Good Houskeeping Everyday Cook Book published a recipe for a sandwich that included all the ingredients plus a slice of turkey. Nowadays, BLTs are on almost every lunch menu and have been recreated and adapted to everyone’s preferences. What’s your dream BLT sandwich? 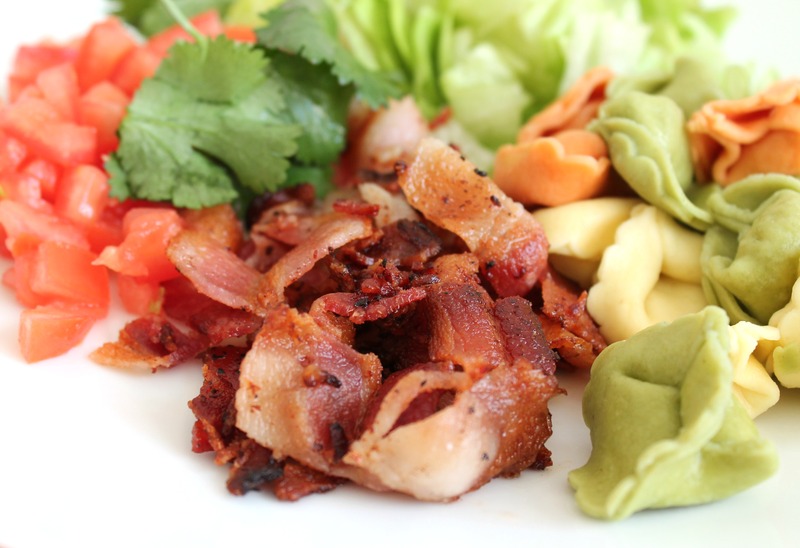 Refreshing pasta salad with favorites like bacon, lettuce, and tomato all in one! Cook the tortellini according to package instructions. Once cooked, run under cold water to stop cooking and chill. 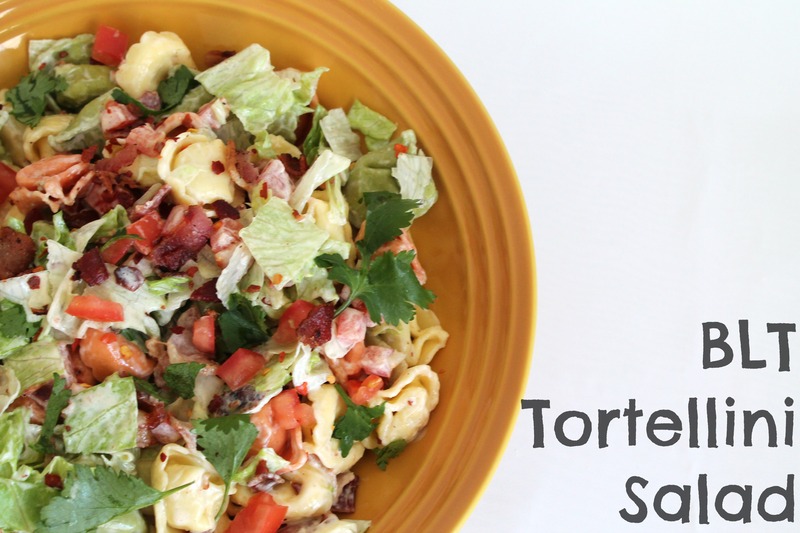 Toss tortellini, chopped bacon, lettuce, tomato, and cilantro together. Whisk the olive oil, mayonnaise, vinegar, salt, and red pepper flakes together. Drizzle over pasta salad and fold together. This salad is mouthwatering. I agree, seeing BLT drags me in every time 😉 this salad is perfect! This salad looks like the ultimate comfort food!! Thanks, Marnely!